First, I'd like to take a minute to thank all of the Veterans who protect our family and our Nation on this Veteran's Day. So, it's been a really long time since I've mentioned the kid's bathroom. We have been busy dragging our feet putting the finishing touches on everything. That's real life. It happens, and it's amazing. Unless, of course, you were holding your breath waiting for this bathroom art that I just finished for the kid's bathroom. I decided I wanted to use clocks somehow. I found these inexpensive clocks at Target for just $6.99 each. From there, I was stuck for a couple days trying to figure out what else this bathroom needed. I liked the idea of keeping it less rubber ducky or under the sea theme and more educational. Which, realistically, I doubt the kids would ever even notice the walls anyway. That's real life, too! After a little searching around, I couldn't believe I came across (and didn't already know!) about a cute blog called Dream A Little Bigger. It was there, that I found a ton of hard work already done for me (and you!) Allison already traced out all 50 states for our Silhouette-ing pleasure! I couldn't have been more thankful to have found this gem! You can get them all here! I had to resize them all a bit to fit into a better scale with the rest of the states. This took way longer than I would have ever expected, but it was so worth it! Of course, so many states fall into weird half-in-half-out of time zones. I didn't stress about it too much. I typically just moved the whole state into the time zone that most of it fell into. It definitely wasn't as messy of divides as I expected. I used craft paper from Jo-Ann's to cut out the shapes using my Silhouette Machine. I then, Mod Podged it all onto painted scrap wood I found in our lumber pile. The strip of wood below the states is also a scrap I was able to paint. I tricked my husband into hanging it for me. He simply drilled it into all of the studs on the wall and I was able to go back and fill in the holes with wood putty, sand, and re-paint. The hooks are from Home Depot and I tricked my husband into centering them up under each board. I'm a firm believer wisher that the kids will be able to hang up their own towels soon. We even hung them lower than usual to accommodate the little ones in our lives. This is the first month I've had the privilege of participating in the Silhouette Challenge! I couldn't be more excited to be apart of this wonderfully creative group of ladies! If you're interested in joining, we'd love to have you!! Simply fill out the new member request form, and Lauren from The Thinking Closet will get you squared away! If you're looking for more creative Silhouette projects (and I know that you are! ), check out these amazing ideas below! 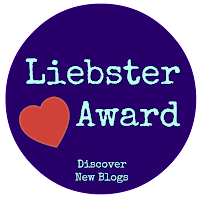 Be sure to leave them some comment love and have fun discovering some new (to you) blogs! Oh, my goodness, I love this! It is so unique and you did an awesome job. I especially love the colors that you chose. It looks amazing! Thanks so much! The colors really go with the rest of the bathroom... I need to get around to writing that post, too! ;) Thanks for stopping by! I love your color palette! I had thought originally that you painted it, but I'm fascinated with the idea of modge podge. I haven't had the opportunity to use modge podge yet, so this just gets the gears moving even more. It looks fantastic! I even really enjoy using mod podge with heavy card stock better than paint now! It's especially great on canvas, too! I need to pin this! This is awesome! We also have been dragging our feet about our boys' bathroom, and now I think I know what we're going to do. This is fab! Thank you so much!! Sometimes it's easy to get "stuck" in a room... especially when you don't spend too much time in there. Good luck with your boy's bathroom! I'm looking forward to seeing how it goes! haha I love it! I was a messy kid but so far our 3.5 year old is suuuuuuper neat so I have hope! Thanks so much for stopping by! I love this! Such a fun idea for a bathroom! Thanks for the sweet words and for stopping by! Thank you Janice and Bryan for all you give to our country. I love the map and colors. Can't wait to see the bathroom. Finally put the vanity back together today. This bathroom is as done as it's gonna be... for a little while, at least! OH I love this! You did a great job on it! Thank you so much for the sweet words and for stopping by! It was a time consuming but gratifying project to finish! SO COOL! I love the map and the colors you chose! And a HUGE thank you to your hubby for his service to our country. God bless! Thank you for your kind words and for stopping by! Your blessing board came out beautifully! Can't wait to poke around a bunch of your other projects! Happy Veteran's Day to you and your family! Thanks for that reminder in your post opener. And how cool is this project?! First of all, Allison from Dream a Little Bigger is a dear bloggy buddy of mine, so I delighted to see you using her cut files. And this time zone bathroom display is pure genius. I love that it is educational, yet executed so beautifully. And seriously, I might just refer to this post whenever I'm trying to remember my time zones because I'm such a visual person, so the Mod Podged signs are MUCH more helpful to me than written lists. Thanks for participating in this month's Silhouette Challenge and for inspiring us with your creativity, Janice! Soooo glad to have you with us! Thank you for all of your hard work putting this all together and STILL finding the time to stop by to check out so many projects! You're terrific! This is just amazing! You did a beautiful job and the colors are perfect. Thank you so much for the sweet words and for stopping by! This is extremely ambitious, and just a really neat idea. I love those maps. Even though I'm not all that wonderful at geography, I've always had a weak spot for maps! Well worth the amount of time I sunk into this little project ;) Thanks for stopping by! This is amazing Janice. The whole wall looks so co-ordinated. WOW!!! This project is AMAZING! I absolutely LOVE it! WOW! That looks absolutely amazing! Thanks for sharing that great link to all the states too. You are more than welcome! It is such a valuable resource that Allison was so kind to provide on her blog! Thanks for stopping by! What a cool project! I love the colors and the whole idea! Great job!! Thanks so much for continually being inspiring, Tori! Finally having a chance to go through all the Silhouette Challenge project inspiration-- I'm like a [big] kid on Christmas but earlier!! 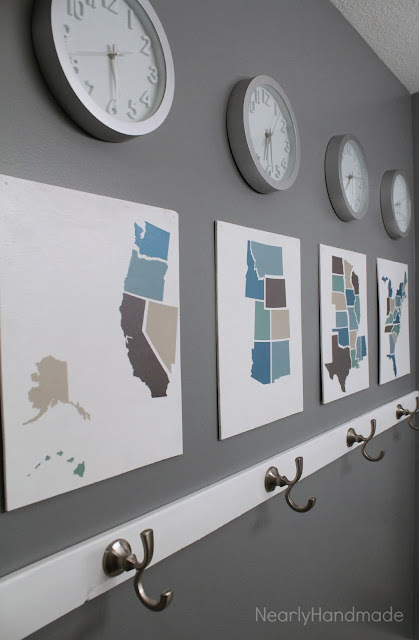 EEP, your time zone bathroom totally ROCKS!! I used to be part of the military family and being far away from family was quite the challenge (especially when they called at 4AM forgetting I’m not as close as I used to be). The color scheme you chose is simply magical- they pop right off the page! Thank you! Time zone differences are one of the toughest things to deal with when you're away from your loved ones! It's always bizarre when you're starting your day and they're winding down for bed already. Thanks for stopping by! I think I need a third bathroom. This is so cute! My son's bedroom is eventually going to have a bit of a route 66 theme if I ever stop being busy (dragging my feet ha ha). 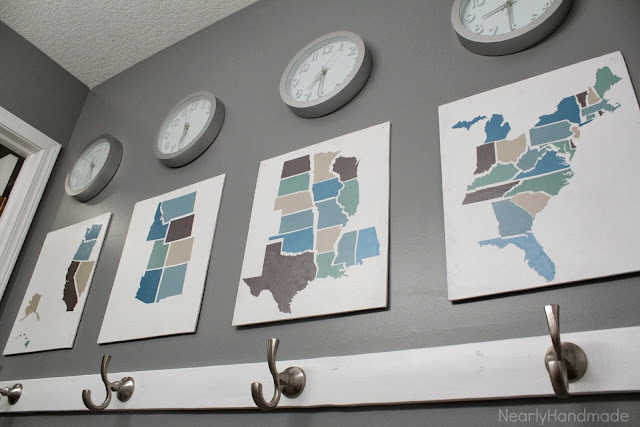 Maybe this would be a cute idea to do on his large wall. Yes!! My only words of warning, are if you're going to a bunch of clocks in a child's bedroom, make sure they don't "tick-tock". The bathroom now is somewhat eerie and somewhat soothing with all of the clicking going on! Totally entered your giveaway!! What a beautiful mirror!! I'm so excited to start following your blog and poking around at all of your past projects! Thanks for stopping by! Fabulous job! You really made this look totally professional!! Thanks for sharing it. Squeal!! Thank you so much for featuring my project on your blog! I can't wait to stop by to see it! You always host such a fabulous link up party. You're one of my favorites to visit! Thanks again!